It is with great sadness that the family of Cynthia Ann “Cyndi” Moran announces her passing suddenly due to heart failure at the age of 65 on February 7, 2019. Cyndi always lived life on her terms to the very end. Cyndi was born December 18, 1953 to parents, Delphine and Leonard Goodman in Des Moines, Iowa. 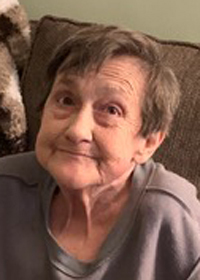 In addition to working at Mercy Hospital for most of her career, she spent many years of her life as a caregiver to her mother until her passing in 2008. She loved her fur babies, Bubba and Peanut. Cyndi will be lovingly remembered by her daughter and best friend Shannon Cain Cherry, son-in-law Tremayne Cherry, grandchildren Jazmyne and Tremayne Jr., and sister Sandra Chase. She will be forever remembered by sons Bart Hogg and Brett Hogg, brothers John Chase and Eugene Chase, her numerous nieces, nephews, extended family and friends. We will look for her in the evening sunset or with the earliest spring daffodils or amongst the fluttering butterflies. In lieu of flowers or memorial contributions, please consider volunteering time to a caregiver for some needed time off.